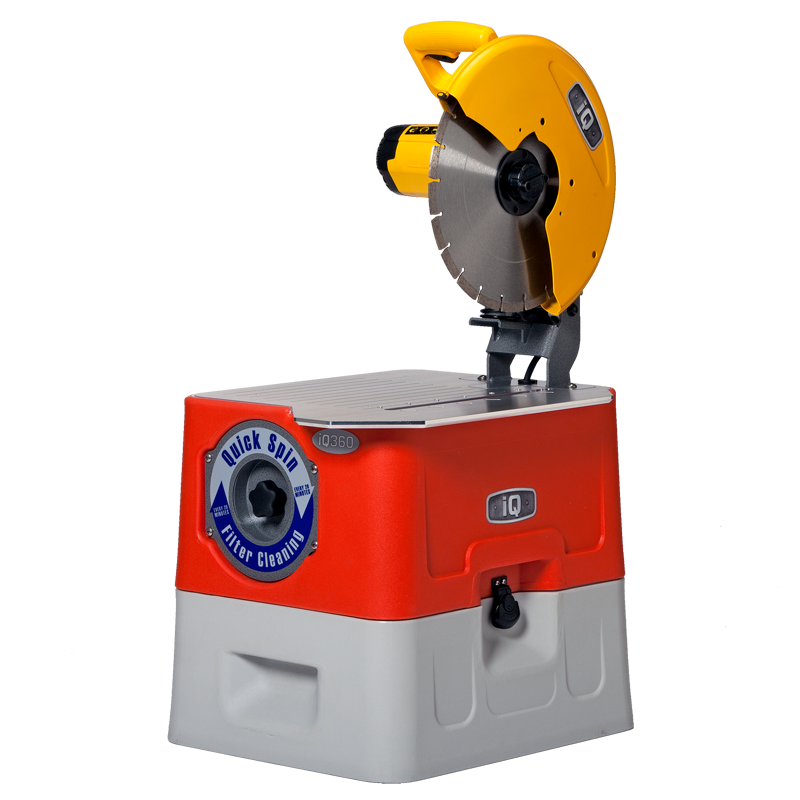 You never knew that cutting through masonry would be so easy with the iQ Power Tools 360, Dustless 14" Electric Masonry Table Saw. The iQ360 saws brick, stone, pavers and tile virtually dust free. It has a fully integrated dust-collection system on a single power source. The dust-collection system has been tested to capture 99.5% of the dust, allowing the user to cut inside or outside. This feature alone saves on man hours working in an environmentally healthier work area. The wide table design of the iQ360 allows for cutting larger materials. Whether working inside or outside, it has a quick-spin filter for easy clean-up and recycling. It is even OSHA Compliant in 50 states. Click to read "The Future of Masonry Cutting: the iQ360, a Dust Control, Silica-Free Solution" on our blog.